Zahid Sardar is an influential San Francisco editor, writer and author specializing in global architecture, interiors, landscape and industrial design. His work has appeared in many publications including Dwell,Interiors, Form, Architecture, Metropolis, I.D, Interior Design, House Beautiful, Elle Décor, House & Garden, Western Interiors & Designand the San Francisco Chronicle for which he served as design editor for 22 years. 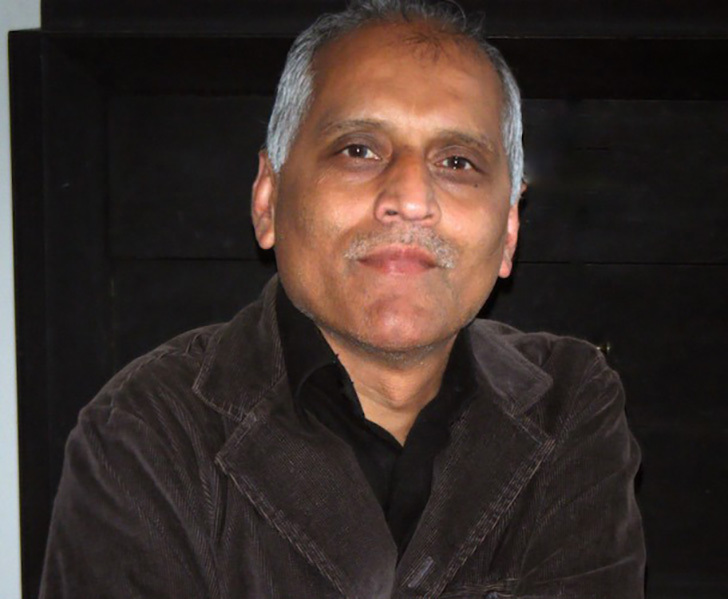 Zahid has taught design history at the California College of the Arts and lectures widely about design. He has written several books on design, including San Francisco Modern, New Garden Design andWest Coast Modern: Architecture, Interiors and Design. His latest book is In & Out of Paris: Gardens of Secret Delights (Gibbs Smith). Zahid currently serves as the editor in chief of Marin At Home magazine, which launches its first issue in January 2016. We’re excited to welcome Zahid into our San Francisco showroom on Tuesday, November 10 for the second conversation in our three-part design series celebrating the Bay Area design, architecture and art community. Zahid will create a library vignette featuring garden-inspired designs to celebrate his newest book. We took the opportunity to ask Zahid 10 questions about design, his work and what makes him tick. I am a modernist at heart but increasingly I like to lace my modernist aesthetic with older designs that have endured with good reason: they work and they look great. Travel, books, magazines, theater sets, the opera and even my garden are rich sources of inspiration. The talented people I meet in the design fields I write about. Editing Marin At Homemagazine, which launches January 2016 has reminded me of that. What global design trends are you seeing? A definite move toward customized experiences and bespoke objects rather than brands. Magazine captions that don’t tell me enough about a design I love! I like objects that have a real connection to my life. It could simply be a gorgeous rock from a river I’ve waded in. Photo albums; the library (does that count as one thing? ); and my Alessi teapot by Naoto Fukasawa. Where is your ideal home away from home? I travel a lot so that is hard to say but my favorite ‘home away from home’ is a reverie. I like to dream. Will we see another book by Zahid Sardar? What are your favorite San Francisco destinations? Zuni Café where I met my wife; Coit Tower for the evocative murals; The Embarcadero for the view and the markets; the Inn at the Presidiobecause it draws me into the park.